Fred. Olsen Cruise Lines has announced that their 880-guest cruise ship Boudicca will operate its first cruise season from the Port of Falmouth, Cornwall, in Spring 2016, albeit for just two sailings. Guests in the South West of the UK will be able to choose from two itineraries sailing from a convenient location: a 12-night ‘Canaries & Portugal’ cruise – for adults only; and a 10-night ‘Around the UK’ sailing. The 12-night ‘Canaries & Portugal Spring Break’ cruise will call at Funchal (Madeira), Santa Cruz de Tenerife, Arrecife (Lanzarote) and Lisbon (Portugal). Prices start from £1,099 per person based on two adults sharing an inside cabin. The 10-night ‘Land’s End to John O’Groats’ cruise will travel around the UK calling at Liverpool, Kirkwall, Invergordon, Scrabster, Tobermory, and Belfast. Prices start from £999 per person based on two adults sharing an inside cabin. Changes to Fred. Olsen’s policy earlier this year means passengers do not need to hold a valid passport to sail on this cruise. Acceptable alternative forms of photographic identification include an EU national ID card, a driving licence, a council-issued bus pass / travel card, a firearms licence, or a Val-ID-ate UK card. A spokesperson for Fred. Olsen Cruise Lines said that while itineraries for 2017 had not been finalised there is a chance that more itineraries could be offered from Falmouth should these two sailings prove popular. 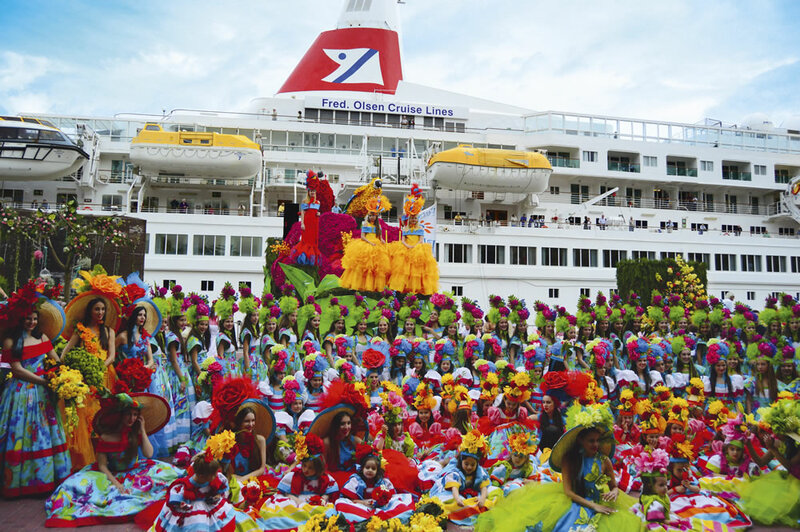 Aside from Falmouth Boudicca will also offer itineraries sailing from Liverpool, Southampton, Greenock, and Belfast. Sister ship Balmoral will be based in Newcastle next year and will also offer itineraries sailing from Southampton and Dover. Braemar will be home-ported in Southampton, with some sailings from Dover too, and will even offer a series of river cruises. Lastly Black Watch will offer itineraries sailing from a number of British ports including Southampton, Dover, Tilbury, Harwich, and Rosyth.